As a part of my nesting process, I have been working on the organization of our tot school room. While I have had it pretty organized for quite awhile, we have been downsizing in our entire house, so our game room now has more concealed storage space. 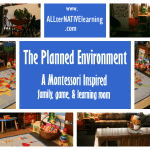 I thought that you might want to take a mini-tour of our tot school room, some of the materials we have, and a few “mom hacks” in terms of home organization of toys. It’s always important to rotate toys with toddlers and young kids. 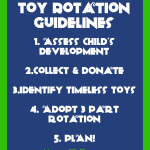 It keeps age and development level appropriate toys and games out and ensure the others get moved into either storage or a rotation. 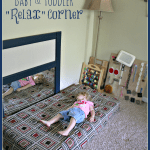 You might even want to look at some of what we have done in the past in terms of our family’s rules of toy rotation and how it has kept our daughter interested. 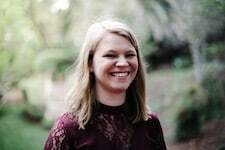 Thank you for choosing to purchase through affiliate links in this post to support our family! We have a converted garage area that we call the Game Room. In it, there are storage cabinets and closets. 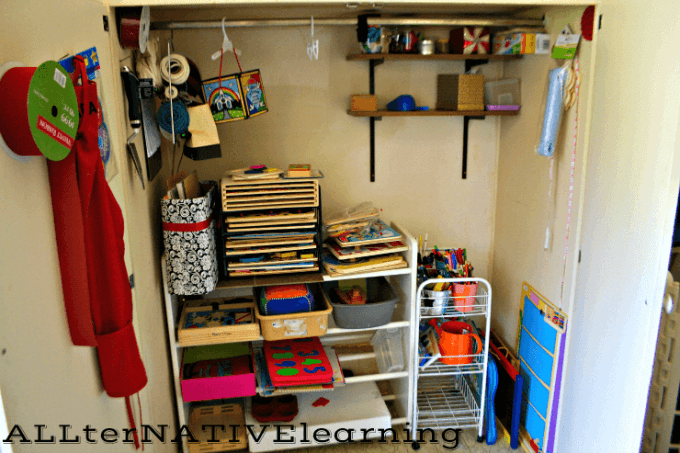 In this closet area, we have a shalef that contains all toys that are age appropriate for our child(ren). It means that they are easily accesible, but toys like puzzles are contained so that pieces do not randomly go missing. This closet STAYS CLOSED with a rubber band so that toys and pieces do not wander off, but when I open it, everything is still easily within reach for her. 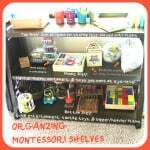 We have a rolling art cart so when we decide to color in tot school, it is easily portable into another area of the room or house. I have separated each material by type in separate 3″ tin pails . 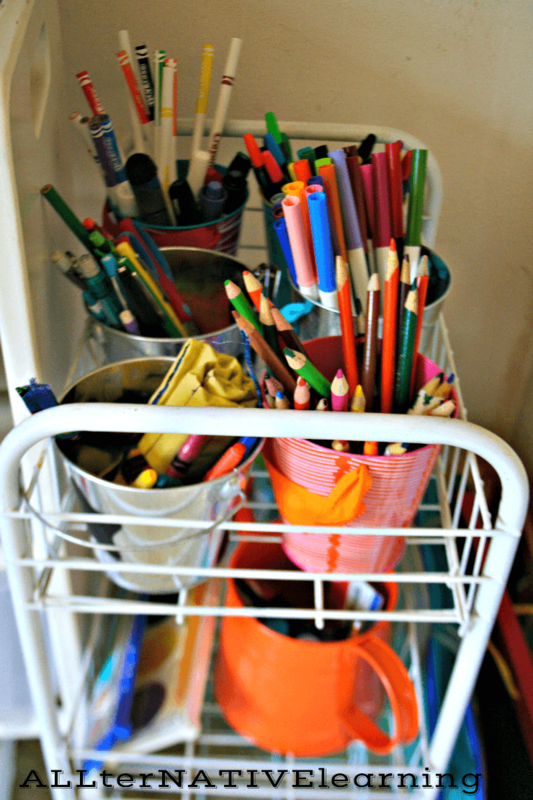 Therefore, all crayons are in one metal bucket, all permanent markers are in another, pens in a different one, and so on. We put puzzles in paper filing trays. This is a cheap and easy way to organize. In fact, I found my trays at a thrift store pretty cheap and just buy more if needed to accommodate more puzzles. 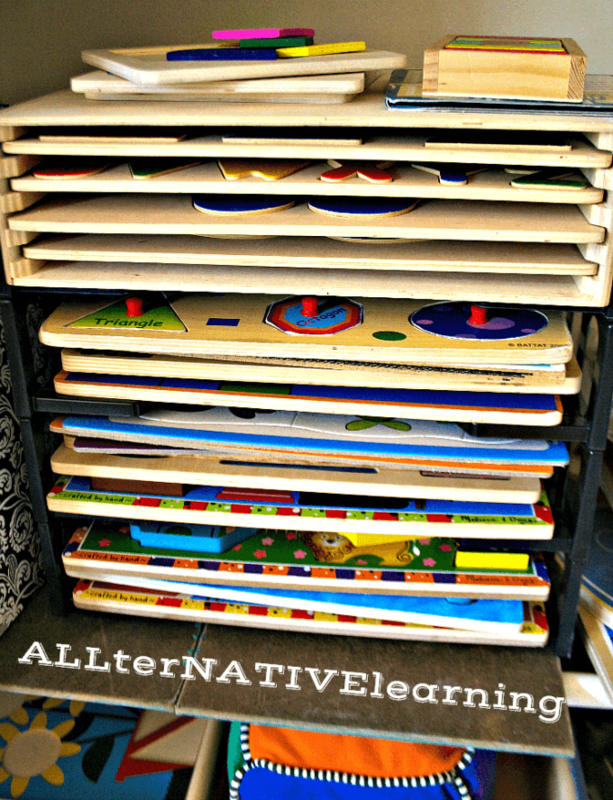 I have them organized my peg puzzle, chunky puzzle, cardboard puzzles, etc.. 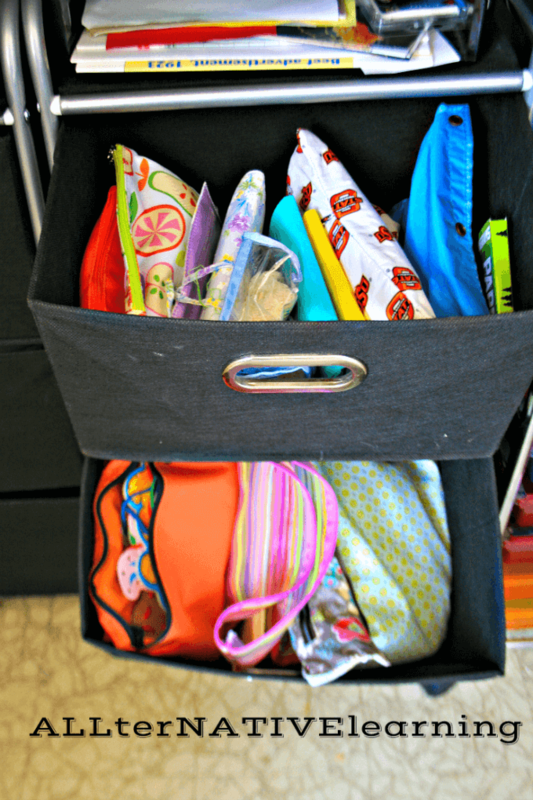 This keeps them organized and easy to access. This closet area is for our Rolling Storage Carts . Not only do we use carts to roll into the room when we’re working on certain things (like doing a craft project or going through stickers), but they make easy long-term access to toys we love to play with! The top two drawers on the right black roller cart are our busy bags. The bottom one in that cart is our Musical instrument drawer (OUR FAVORITE!). 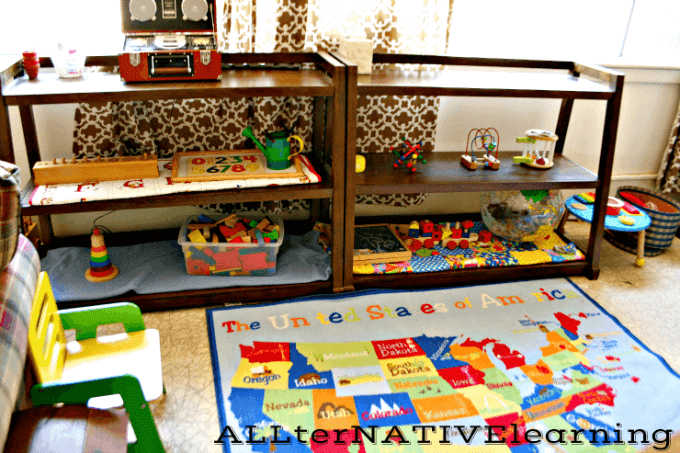 The left has a drawer for flashcards that we use for scavenger hunts and such, a drawer for blocks and dominoes, and a rotating drawer. 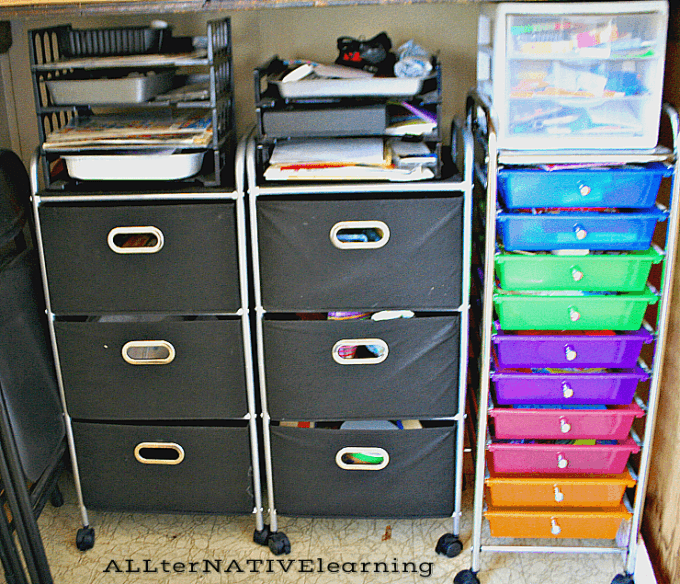 The rainbow drawers contain paper, stickers, stencils, felt, and a whole lot more! Currently we are even working on cataloging and organizing our own homeschool library using Libib.com. When we are done we will have an online and on-phone index of all of our books, appropriately tagged with the theme(s) to which it belongs. This is an ongoing process, but we are excited to share the results when complete! 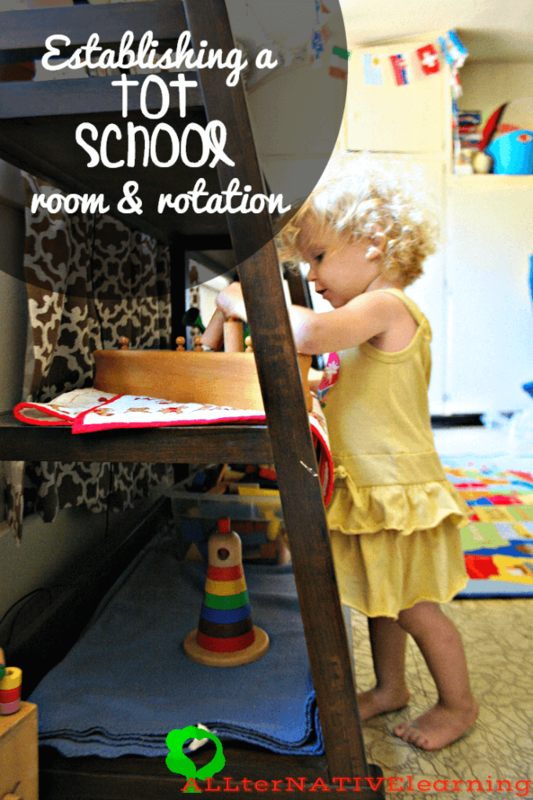 Find more homeschool room inspiration at iHomeschool network’s School room blog hop starting August 11! I love all of your wooden puzzles. You have a great set up! Thank you so so much for the free download great plans and crafts ideas. May God bless you amazingly.